When you or a loved one is injured in an automobile accident, at work, as a result of a slip and fall, or because of the carelessness of a healthcare provider, you have the right to be compensated for your injuries. To protect your rights, competent professional advice of a personal injury attorney is essential. Hladik, Onorato & Federman, LLP personal injury lawyers have represented injured clients for over 40 years. 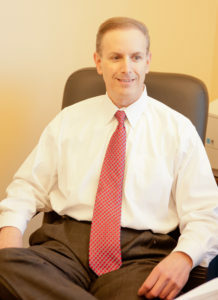 Our lawyers have successfully represented clients in state and federal courts in Pennsylvania and New Jersey and have developed a reputation for maximizing recovery for our clients. Whether through settlement negotiation, mediation, arbitration or trial, we are prepared to resolve your case efficiently and effectively. With us at your side, you are free to concentrate on getting better while we resolve any legal issues confronting you. All personal injury cases are handled on a contingent fee basis so there are never upfront charges to our clients. In personal injury matters, often time is of the essence. Do not delay in seeking professional advice. For a free consultation, please contact Mr. Phillips at 267-662-9035 or ephillips@hoflawgroup.com to set up an appointment.